The Blot was thrilled to learn that Flabslab was releasing a third colorway of Luke Chueh’s epic Boba resin figure bust! 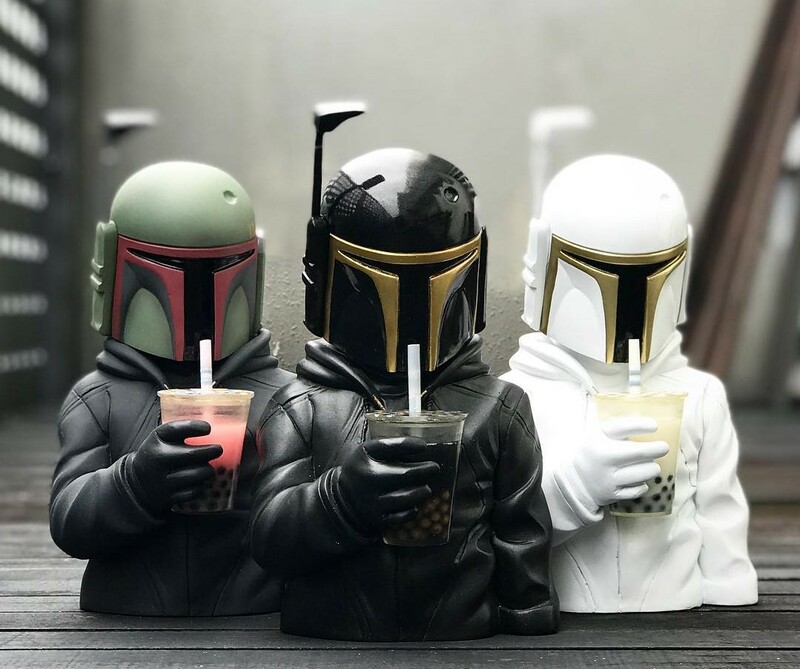 Based on a painting of the same name by Luke Chueh, this fantastic mash-up combines Star Wars’ beloved bounty hunter, Boba Fett, with the classic Taiwanese drink, boba tea. 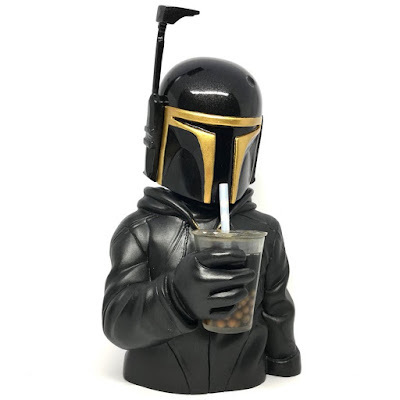 The Boba (Black Gold) bust stands 9.5” tall, is hand cast in resin and then hand painted. Collectors can pre-order this new Boba colorway now at the Flabslab online store for $300.